There is nothing more difficult than choosing the right carpet cleaner in Northern VA. With so many different companies and cleaning methods, how do you make the right choice? Here at Absolute Carpet Care, we use our exclusive Hot Water Extraction Method, which utilizes specialized truck-mounted equipment. We understand that a carpet cleaning is only as good as the technicians who complete it, which is why all of our cleaning technicians are certified through the Institute of Inspection, Cleaning, and Restoration Certification (I.I.C.R.C.). Our top of the line equipment paired with our knowledgeable technicians and powerful non-toxic cleaning agents make a carpet cleaning from Absolute Carpet Care the most effective and thorough cleaning in the industry. Absolute Carpet Care’s exclusive process begins with an all-natural, hypo-allergenic pre-spray being applied to the carpet that begins to emulsify and break up the dirt and soils. Then, the 200-degree water and powerful suction extract deep down dirt, cleaning solution, and 95% of moisture for a fast drying time. 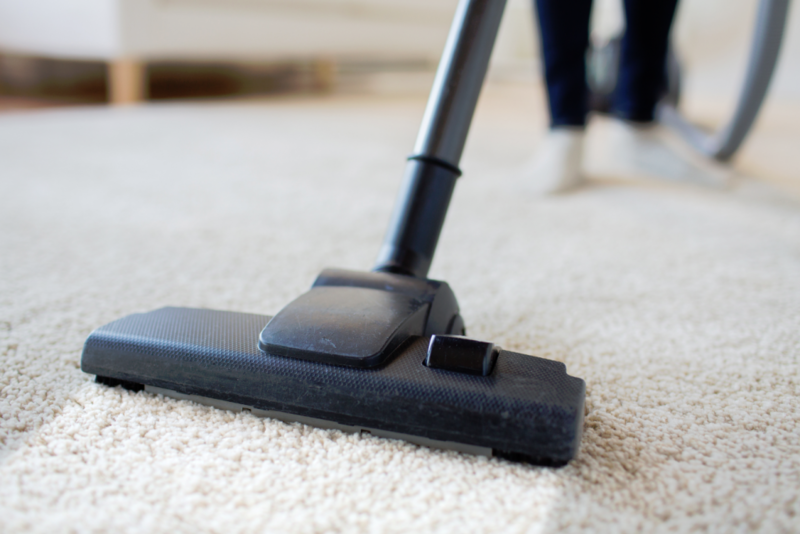 It also removes dust mites, allergens, and other microscopic pollutants that collect in your carpet and can trigger allergies and other breathing problems. To follow up the cleaning, we apply turbofans to accelerate drying time and rake carpet fibers to restore the pile. Our exclusive method acts as an allergy treatment and leaves no soapy residue, which keeps carpets cleaner longer while being safe for children and pets. You can clearly see that Absolute Carpet Care is the best way to protect your investment. At Absolute Carpet Care, we know how difficult it can be to maintain your carpet and keep it clean and protected from life’s inevitable dirt and stains. We offer a safe, effective process that removes deep down dirt and stubborn stains while keeping your home safe for infants and pets. To start the process, we pre-spray an emulsifier that breaks up any ground in dirt. This is followed by hot water and a textile rinse to restore a neutral PH level. Powerful suction removes deep down dirt and up to 95% of moisture for a quick drying time. Absolute Carpet Care offers only the best in carpet and fabric protection. We also offer powerful, long-lasting carpet protection through Maxim Advanced, the industry’s premier carpet protectant solution. Maxim Advanced protects your carpet investment, lengthening the life of your carpet. With protection from Maxim Advanced, you’ll be amazed at how quickly and easily future spills are removed. Maxim Advanced is the best soil protection for all types of carpet, and it’s certified non-toxic, making it safe for your family. The reason we use Maxim Advanced is because it delivers protection by forming a molecular shield around each carpet fiber rather than just creating a repelling barrier along the top layer of your carpet fibers unlike other popular protectants. This molecular shield lowers the surface energy of the carpet fibers causing them to repel liquid spills as well as dust and dirt. This helps keep dirt and stains from being ground in or absorbed by the fibers. Maxim Advanced protection is applied with air sprayers to ensure that every fiber is evenly coated. The area is then raked to allow deeper penetration. Maxim Advanced is undetectable and does not change the appearance or texture of the carpet or fabrics. 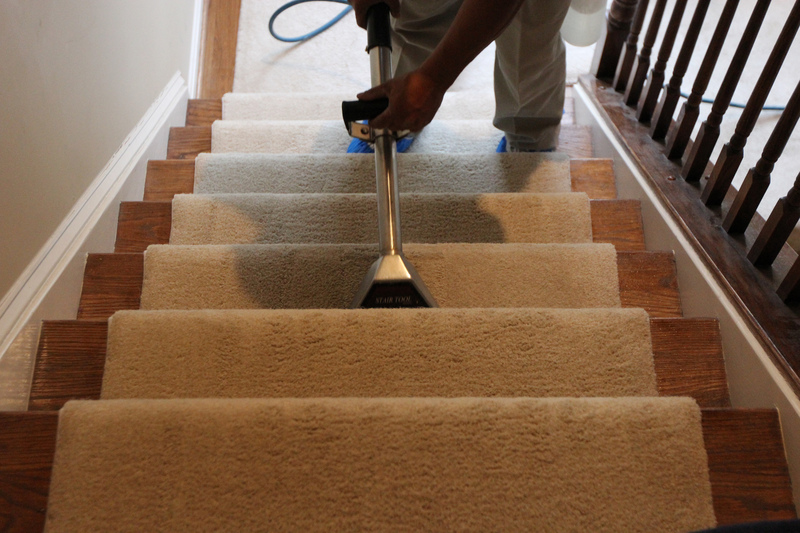 It just offers the superior protection you would expect from any Absolute Carpet Care service. Carpet and fabric protectants to allow your carpet and upholstery to withstand the heavier commercial traffic and look good for years to come. We also offer 24-hour emergency service to accommodate any water damage problems, should they arise. We offer free estimates as well as substantial discounts for contracts. Contact Absolute Carpet Care today and start protecting your business’s carpeting investment. Absolute Carpet Care’s deep cleaning process is highly effective on everyday dirt and soil buildup, but no matter how careful you are you are bound to have some stubborn stains. At Absolute Carpet Care, we offer a wide variety of stain removers to eliminate even the most difficult spots. We offer a filtration soil remover to remove dark lines along walls and behind doors, a stain remover that can eliminate or improve red wine and juice spills. We also have spotting agents to remove ink, gum, rust, grease, and many more spots. If stain removal is not possible we can provide you with an estimate to do a bonded insert or “patch” on the stained area. A. Yes, reapplication is recommended for heavy traffic patterns. Regular household conditions that cause carpets to need cleaning (for example, dirt and spills in the carpet) can contribute to a gradual “wearing off” of the protectant. Cleaning alone will not remove Maxim Advanced. Reapplication will ensure that the ease of the soil removal is maintained. A. No, some cleaners use a soapy detergent followed only by extraction, leaving a residue that causes rapid re-soiling. We use safe biodegradable detergent pre-spray, followed by a textile rinse that leaves carpet virtually residue free. Q. I had someone out already and they said it couldn’t be cleaned? A. We love hearing that! With Absolute Carpet Care’s exclusive process and our wide array of stain removers, we can remove much more of your carpets problems than your average carpet cleaners.